"The combination of both Gombrowicz and Tibaldus is a match made in heaven – both for the actors and the spectators. A perfect marriage between Gombrowicz’s absurdity and Tibaldus’ passion for performing." Tibaldus, made up of Timeau De Keyser, Hans Mortelmans and Simon De Winne, is one of Belgium’s most exciting and innovative young companies. Their work is fierce, surprising and thrilling. 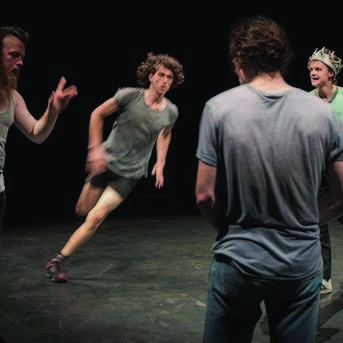 They now team up with five other actors and dancers to create a bold and radical contemporary reworking of Witold Gombrowicz’s (known as the Shakespeare of Poland) ground-breaking masterpiece.